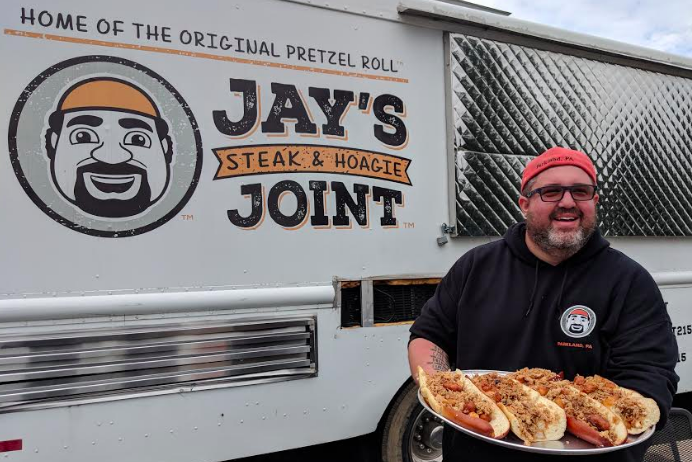 Jay's Steak & Hoagie Joint is located at 1205 Highland Avenue in Langhorne, Pennsylvania. If you own a business in the Philadelphia area and you haven't found a way to capitalize on the Eagles' success, you've been sleeping on a ready-made marketing pitch. Eagles fans in Lower Bucks County will now have a chance to get their hands on a limited-time hoagie inspired by Eagles quarterback Carson Wentz, who returned to the field last Sunday with a win against the Indianapolis Colts. Jay's Hoagie & Sandwich Joint in Parkland is now selling a "Wentzel Dip Sandwich" with ingredients that combine Wentz's North Dakota roots and Philadelphia staples. A portion of all proceeds from the $11 sandwich will support local food banks. “I was working behind the grill thinking of new menu items to help support our local food banks when it hit me,” Green said. “North Dakota is known for its hearty food, so I played around and created a sandwich that combines the best of Philadelphia and Wentz’s home." 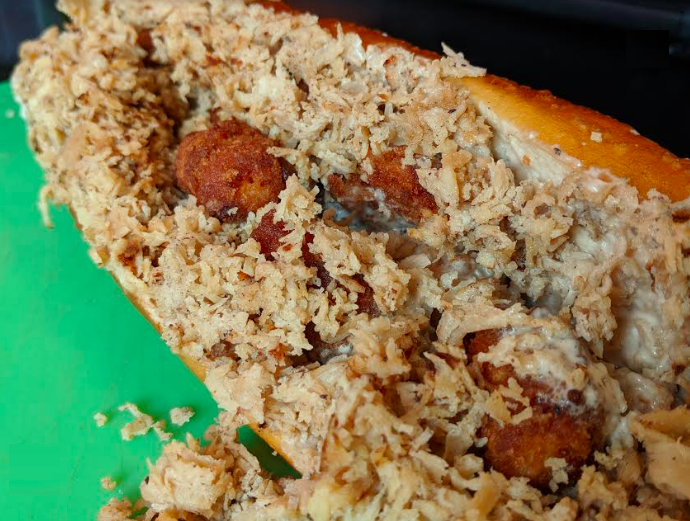 The Wentzel Dip Sandwich includes chicken steak meat, tots, fried cheese curds, and a special beef bison dip cream cheese spread directly on Jay's original pretzel roll. Proceeds from the sals of the sandwich will go to ERA Food Pantry in Levittown and the Bucks County Housing Group Food Pantry in Penndel. Jay's opened in 2012 and has donated more than 50,000 pounds of food to local food banks since then. Stop in and try the Wentzel Dip Sandwich while it's still around.